Complies with BS 812. Aggregate to be classified is separated into seven sieve fractions from 63 to 6.3mm. 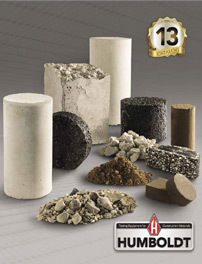 Use to determine the uncompacted void content of a fine aggregate sample. Sieves used to determine flakiness index, comply with BS 812.